Featuring choreography by Nikki Northover, Aimee Symes, Luke Robson. Luke Brown and Bec Ayles and music by composers Rob Lee, Matt Benjamin, Jack Harrison Barlow, Georgia Collins, Chris Reynolds and Andrew Dickson. Our Time Is Now will include special guest appearances by former Bridport Youth Dance students Marina Renee-Cemmick, Rebecca Whaley, Emily Meech, Harry Poole and Julio Guarita. BYD and this production has been supported by West Dorset District Council, Bridport Town Council, The Heritage Lottery Fund, Opera Circus and Vicary and Co.
Bridport Youth Dance's production Our Time Is Now explores the concept of time. Over ninety young dancers and some from our adults programme will feature. Two time travellers Persephone (played by Rosie Hyde) and Ethan Travelle (Rory Armstrong) shift through time from a new beginning to a new earth. The dancers move through the creation of the world to the present day. To the breathtaking beauty of our world and it's gift of nature to the chaos of war, displacement and the many ecological disasters taking place today. Finally, Persephone and Ethan travel to a world where harmony and working together is the answer. Our Time Is Now is a reminder that there is no planet B; that now is our time and our younger generations are the future and need to be listened to. The concept of light and dark and a reinterpretation of the Greek myth of Persephone who is taken by Hades into the underworld creates a through line in the show. Of course without darkness there is no light and Hades (performed by Reuben Squirrell) the god of the underworld reminds us of this. But, of course there are always chinks for the light to pass through and even the darkest of souls can be transformed when they open their eyes to the light . 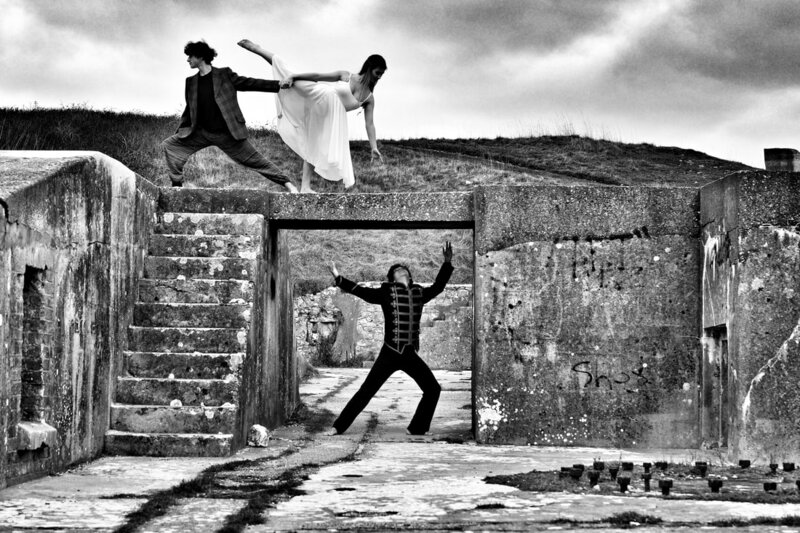 These local talented dancers are a true credit to Bridport . For many of them dance is their passion , their driving force . They are devoted and committed young people who have every chance of changing even saving our world. If we are lucky. They all deserve a bright future. My inspiration as director of Bridport Youth Dance's production of Our Time is Now are people, books, conversations, images and words that jump out at me in the street, in my dream world, in any moment. It is about my feelings, my heart and my soul. Through dance I open it all to you, the audience and take what you will because for each and every one of you it will be something different.